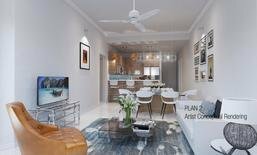 The downtown area around Lemon and Pineapple avenues has acquired a new vibe quickly, thanks in part to the new Sarasota condos for sale at 1500 State Street. A boutique, mixed-use property, this condominium broke ground in September 2016, and seven months hence, the project marked its topping-off during rites held April 2017. This condominium, which adopted its 1500 State Street address as its name, has six levels featuring 20 residences laid out above commercial spaces set on its first two stories. It occupies two parcels including a slice of land on the eastern edge of Pineapple Park on Lemon Avenue where a “liner building” of the condominium was also constructed. This thin building connects to the second floor of the 1500 State Street condominium via an enclosed walkway, thus further enhancing the commercial and residential value of this property. Five tenants have, in fact, contracted spaces in this mixed development even prior to its completion. These include the offices of the magazines 941CEO and Sarasota Magazine, the fast-food restaurant S’macks, and Optional Art Fine Jewelry. Pre-selling of the residential condos of 1500 State Street has been brisk as well, with 10 of its units already under contract at the time of the condominium’s 2016 groundbreaking. 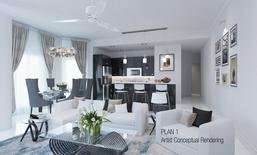 The residences of this development come in five unique floor plans with living areas ranging from 734 to 1,013 square feet. 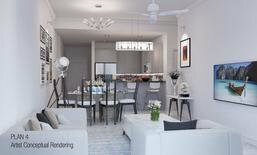 These units are priced starting from the high $300s up to the $500s. Pricing and square footage at State Street were purposely set below the levels of most downtown Sarasota condos for sale. This marketing tack was adopted in order to draw prospective buyers seeking second homes, downshifting retirees, and professionals pursuing career opportunities in the city. The condo units of 1500 State Street were so designed to meet the needs and preferences of these target markets. The living areas of each unit are complemented by 95- to 155-square-foot private balconies projecting beyond the property line. 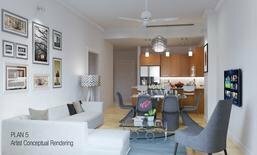 The residences also feature high-end fixtures and finishes found in luxury condos, such as soaring ceilings, carpeted bedrooms, ceramic-tiled kitchens, granite countertops, and stainless steel appliances. Secured elevator entry is provided in the condominium building. All units likewise have reserved vehicle space in the State Street parking garage directly accessible to and from the condominium. The condo residents may keep up to two pets each weighing not more than 40 pounds. With its central downtown location, 1500 State Street scores 96 out of 100 in terms of walkability. Retail stores and restaurants are just a few minutes’ walk from the condominium, including a nearby Whole Foods shop and the popular Sarasota Farmers Market held Saturdays each week. A makeover of the Pineapple Park adjacent to 1500 State Street’s liner building adds to the delight of living in this condominium. The improvements in this park include additional shade trees, comfortable seating, and most importantly, the preservation of its centerpiece mermaid fountain whose iconic artwork design has always been part of the attractions in this downtown district. Below are all of the current condo listings available for sale at 1500 State Street.